Life’s best surprises often come from unlikely places. Twista knows this better than most. The pioneering platinum rapper put Chicago on the rap map and made the double-time rap style a rap staple. Despite selling millions of albums and popularizing a delivery incorporated by everyone from Jay-Z to Eminem, the Windy City rapper remains largely unheralded by the uninformed. From the first time Twista rapped, people wanted to hear him do this. 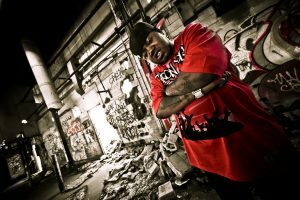 He broke through in the early 1990s as Tung Twista, earning acclaim as the fastest rapper in the world, even holding the Guinness World Record title for the distinction. But it would take a while for people to catch up to Twista’s trailblazing rap abilities. 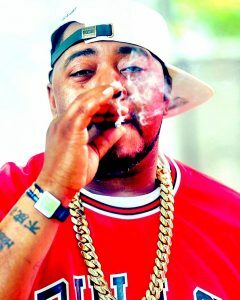 When he reemerged in 1996 with Do Or Die on the landmark “Po Pimp” single, the rechristened Twista amazed fans and critics alike with his remarkably smooth rapid-fire raps. Twista then became a rap king with the release of Adrenaline Rush, his 1997 album. The collection’s mind-bending vocal performances, terrific storytelling and supreme lyricism placed Twista among rap’s premier artists. 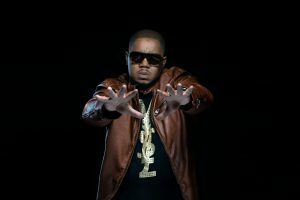 Twista became even more popular in 2003 and 2004 when he teamed with fellow Chicagoan Kanye West and Jamie Foxx for the smash single “Slow Jamz.” Twista’s 2004 album, Kamikaze, earned him his first Multi platinum plaque. Since then, Twista has remained one of rap’s premier practitioners and in-demand collaborators. He’s appeared on albums from Mariah Carey, Pitbull, Lady Gaga, Usher and Jay-Z, among others, and released a string of albums and mixtapes. Since then, Twista released a string of successful singles, highlighted 2009’s gold single “Wetter,” as well as 2013 single “Make a Movie” featuring Chris Brown. But for Twista, it all comes down to the music. It’s the reason he’s remained one of rap’s top talents for two decades. “It’s the love of the music,” he says. “I do other things and I have other business ventures that I do, but my love is really with the music.